Years ago my grandmother bought me blotting papers from Crabtree & Evelyn. They thankfully no longer make them any longer because I would likely still buy them due to nostalgia and they made me look like a powdery mess. Blotting papers have come a long way in the last 10 years, most of them no longer being caked in perfumey powder and so thick that it was like wiping your face down with a cheap paper towel (ouch). 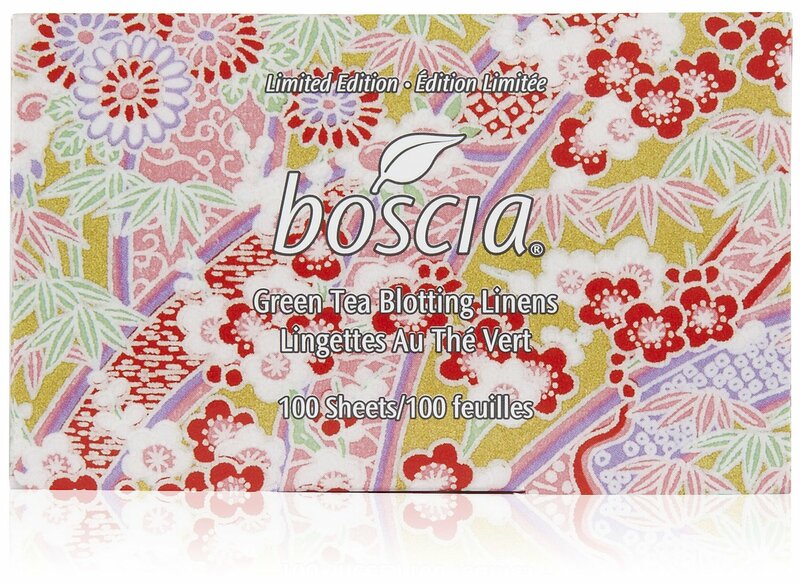 My personal favorite is the Boscia Green Tree Blotting Linen. They are relatively inexpensive at around $10 for 100 sheets and do not contain any fragrance, dyes or alcohol. I press one over my t-zone after I put on foundation and before I use a setting spray and occasionally pull one out after a long night of dancing. Hahaha. That doesn't really happen much; mostly I just use them after applying foundation. Currently Sephora an Beauty Bar have these in a limited edition print (normally they container is green as seen at Ulta) which is very pretty at no extra cost. 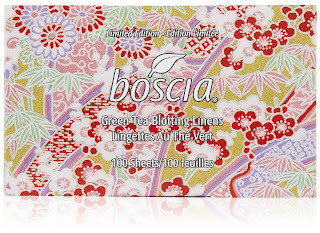 If you're considering trying the Boscia Blotting Linens, I would personally try to find one of Ulta's amazing $5 off $10 or more coupons in a magazine or online, seeing as how that would make them $5.